The Friends star is set to tie the knot with long-term partner Snow Patrol's Johnny McDaid in Ireland this summer. 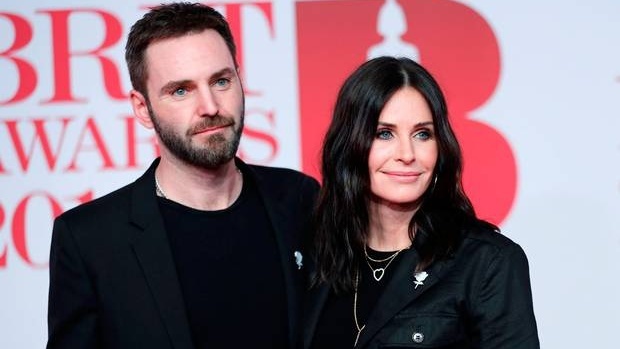 Courteney and Johnny were introduced by Ed Sheeran who has written numerous songs with McDaid in the past including Sheeran's huge hit Galway Girl. It is thought that Ed will perform at the pair's wedding. It is also being reported that Courteney's Friends co-star Jennifer Aniston has been asked to be maid of honour at the ceremony. A source told the Sunday Mirror, "Courteney wouldn't want to walk down the aisle without Jennifer by her side. They have a very strong friendship."